Tucked away off Wisconsin Avenue sits a church with a red door. A church, stripped of modern conveniences, not unlike the stable at Bethlehem. Inclusion has been at the heart of Rev. Graham’s ministry work since he was ordained in the Episcopal Church in 1984. Seminary had always been in the back of his mind—inspired by the clergy at his childhood church in Chicago. Rev. Graham taught and worked in social services for a few years after grad school, where he met his future wife, Sakena—a Baptist from the south side of Chicago. But neither career felt like his true calling, and in the late 70s he returned to the church after some time away. For the next 20 years, Rev. Graham served two congregations in Chicago, one of which was Spanish-speaking. The pastor at that congregation had befriended Rev. Graham, taught him some Spanish, and pushed him to help with his services. When he fell ill and died within months, Rev. Graham permanently took over. In 2004, an acquaintance asked Rev. Graham if he’d be interested in applying for an open position in Georgetown—an area somewhat familiar to him thanks to three years of seminary in Alexandria. At 49, Rev. Graham knew if he and his wife were going to make a change, they’d better do it now. During those early DC days, the city was experiencing its first big growth spurt, which trickled down into the congregation. When President Obama was elected, Rev. Graham saw even more young people. 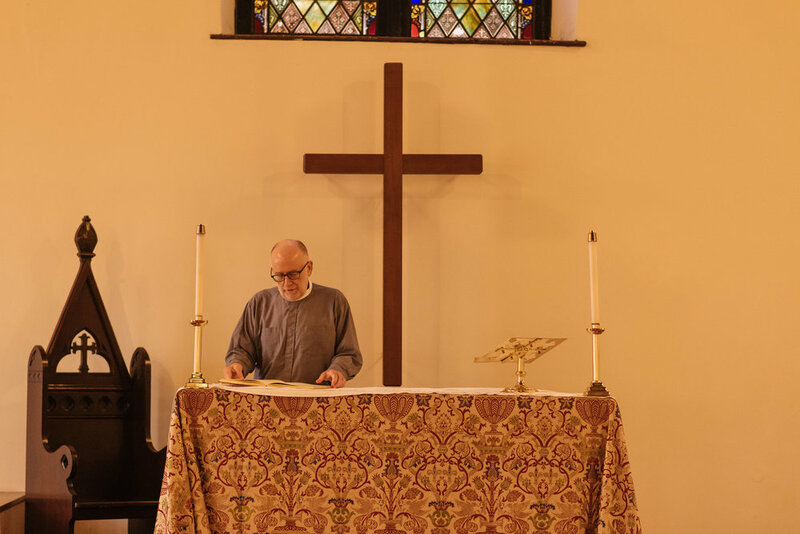 Although membership has since plateaued, he says Grace Episcopal is still fortunate. In part, that struggle stems from scriptures that often seem so far removed from the 21st century. After going over the readings every Monday, Rev. Graham spends the week—usually while driving or exercising—figuring out the pieces of his sermon and how they’re going to fit together. He does his best to interpret how the scriptures speak to his congregation on a personal level, as well as in their larger social and political lives. To do so, he draws on the improvisational nature of jazz. Rev. Graham says the Trump era has been especially challenging to reconcile. A famous church historian once said a church’s political perspective is usually in reverse correlation with its AV technology. It’s certainly the case at Grace Episcopal, where parishioners won’t find Wi-Fi or services streamed on Sundays. Rev. Graham says the only concession they’ve made is printing most of the service in a single booklet, rather than switching back and forth between the hymnal and the Book of Common Prayer. In the meantime, Rev. 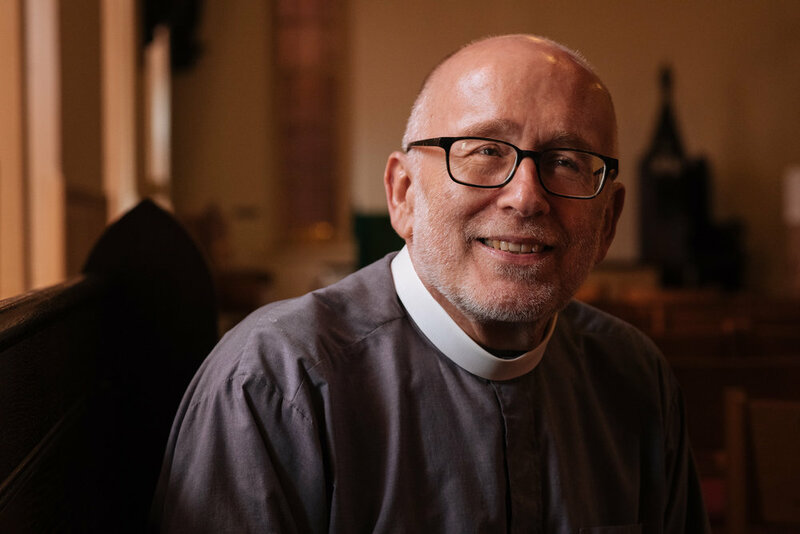 Graham is intent on getting more young people out from behind their screens and engaged in advocacy and public witness, particularly on behalf of their homeless neighbors at Georgetown Ministry Center. He says it’s hard to get these ‘self-described progressives’ focused on local issues in a city with its sights set on national and international causes—a stark contrast to Chicago. When Rev. Graham isn’t advocating, he spends a large portion of his week visiting those in need, and completing those less glamorous grounds management and admin tasks. He sees all of it as its own form of ministry—contractors just as much part of the church as the parishioners. It’s a church Rev. Graham loves deeply, from its music, to its liturgy, and democratic, self-governing practices. In many ways, he says he’s a better Episcopalian than Christian.